I have learned a lot from ULK 63, particularly from an article from a Michigan prisoner on "Challenges and Growth in Recruiting Skills." I myself have always been a passionate orator since my former days as an official of the Moorish Science Temple of America. But as my political consciousness began to rise and I became more of a revolutionary realist, I find that the hellfire and brimstone approach is not always wise. I have learned that most reasonable men can be persuaded through intellectual dialing based on facts, statistics and logic. Then there are the masses that really don't know what they want but know something must change. I have some good ideas on how to organize some comrades although I must admit my objective is somewhat obscure. I love how this prisoner from Michigan laid out the format of organizing through dialectical materialism, which he later gave a definition of as I would say "a scientific process of trial and error." I love hearing and reading the understandings of others, it raises my own. We received some criticism for our response to a discussion of George Jackson printed in ULK 65. In this article we described how some of Jackson's writings are anti-wimmin and anti-gay. While we stand by that line, we take a lesson from our critics. Printing this in isolation, without commenting on all the positive contributions Jackson made to the revolutionary movement, was a mistake. George Jackson overall played an important positive role as a revolutionary. While we need to analyze our historical revolutionary movements and leaders and learn from their mistakes, we should not dismiss great leaders who made mistakes or had some political line wrong. George Jackson's mistakes did not outweigh eir positive contributions. Statement of Unity: I, "Big Real," founder and president of F.A.T., willfully submit this statement of unity because the united front principles relate to our drive for education and our motto (Knowledge Is Power). Also, we use education to destroy negative outputs and increase positive aspects relating to peace and enlightenment. When it comes to recruiting, the tactics involved to build an organization are not as difficult as one thinks. 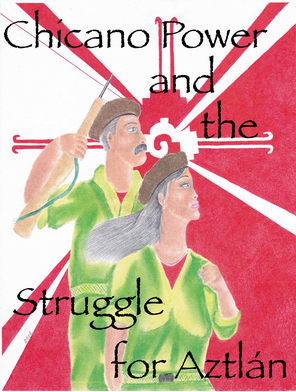 As we all know, relations based on the same agenda and goals are fundamental in showing a common interest in the struggle. Yet, the key to building an organization takes something more complex but simple. Light travels at the speed of 186,000 mps. This speed is way faster than the speed of sound. Instead of expressing your feelings on how people should follow, simply lead. Instead of being "heard," be "seen." Moreover, a key factor is observation and analysis. Knowing when to act, how to act, and who to act around creates the best action. When the destination is desired, the express lane is always open and willing. I use the heat of the moment to build my team. Then observation and analysis will cultivate the positioning. Here's an essay on the question of recruiting tactics and methods. When it comes to people and you're trying to impress upon them a particular concept or an idea. Sometimes the direct approach isn't the best tactic. So #1. When having a conversation with them, we utilize the ask and answer approach to see how much they know, and how receptive they are to the topic at hand. So, the question and answer approach, in a sense, will expose them. So, this will put you in a superior position to teach them without any opposition. And now they know that they can learn a great deal. However, through this Q&A tactic, you've now piqued their interest in a profound way. Hence, becoming receptive and open-minded to knowledge and understanding about revolutionary change. This is the greater reality for us socialists who doesn't fear the movement of teaching what life is... a society without imperialism is possible. 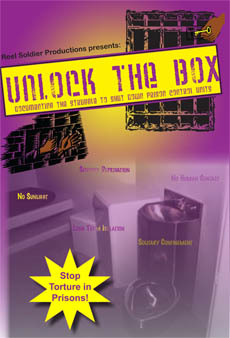 MIM(Prisons) adds: Under Lock & Key 63 was focused on different methods used by organizers in prisons. Keep sending in your tips and observations from the field, and write in to get ULK 63 if you don't have it.